Last time I posted MIchael Jackson's Top ten vedios , my friend Angie left a note to me, have you seen Michael Jackson's Billie Jeam on Motown 25th anniversary. 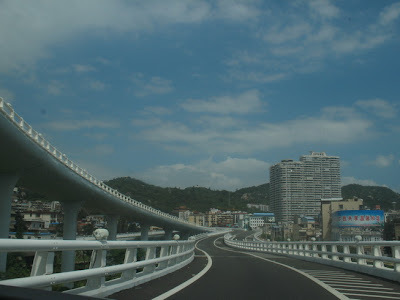 Few days ago my blog mentioned the Xiamen Chenggong road's official opening , on 25th Sep,2009 , that was yesterday , I made the first trip with some friends to time exactly how good it is. 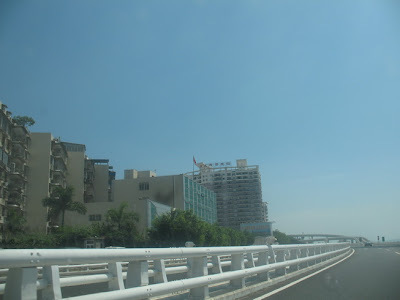 We started from the hotel, Millennium Harbourview Hotel Xiamen , immediately on the Yanwu Bridge , that was beautiful. When we came out of the tunnel , a cozy high-speed road laying in front of us. 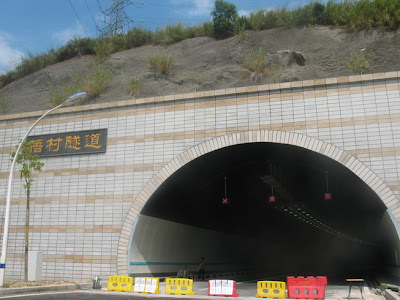 Then here we are , the most important tunnel , Wuchun Tunnel . To my surprise , the block was still there , we were told it would be open at night . So we decided to come the second day. 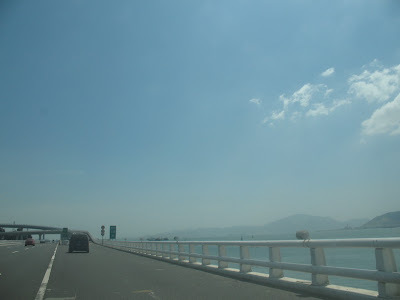 26Sep,2009 , 12:24 , bright sun shine , we started from the Millennium Harbourview Hotel Xiamen again to take our Chenggong Virgin trip. The name means Success , originated from a great general few hundreds years ago ,Zheng chenggong , who was very famous in Chinese history to protect Both Xiamen and Taiwan from outside intruder. ( That time probably Netherlands was the biggest intruder , but that was history, we are friends now). 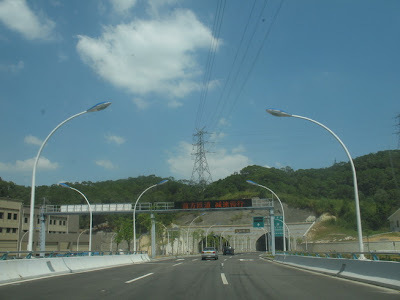 I would rather say Xiamen Marathon picks up the best road in the world, we are driving on the world's best marathon line. 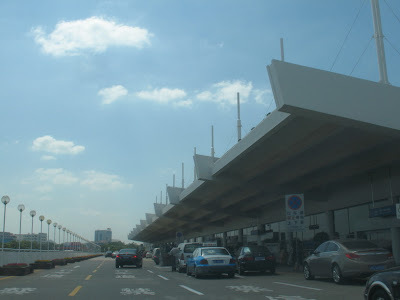 When we arrived at the entrance of the Xiamen airport , it was 12:40 , 16 minutes. And below is the new design of MIllennium hotels promotionfor China 60th national day , pretty cool, I like it! Millennium & Copthorne celebrates China's 60th National Day with a host of fabulous treats just for you. Choose from room rates starting from an incredible CNY 399 with Food & Beverage credits of up to CNY 60 per day at any of our hotels in China. Participating hotels include Grand Millennium Beijing, Millennium Hongqiao Hotel Shanghai, Millennium Wuxi, Copthorne Hotel Qingdao and Millennium Harbourview Hotel Xiamen. Come join us and celebrate six decades of nation building in China! Click on the hotels below to enjoy your amazing offer now! Offers are valid from 25 September 2009 to 11 October 2009 only. As of Sep. 18th, the construction of tunnels and bridges for the railway have been finished. At present, the work of track laying, electricity supply and transformation are still underway. As an important part of China’s coastal railway artery, the construction of the Fuzhou-Xiamen Railway started from Sep. 30th 2005. The new constructed part of the rail is 274.9 km long, involving a total investment of 20.6 billion yuan. The whole railway includes 166 bridges with a total length of 83km and 39 tunnels with a total length of 42.6 km. The top speed of the passenger train running on this railway is expected to reach 250km/h. Upon completion, it will only take 2 hours to travel from Xiamen to Fuzhou. 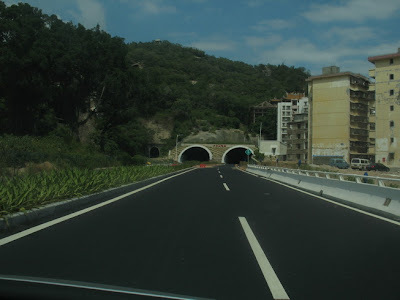 Chenggong Road ( Great Success Road from Millennium to airport of Xiamen) launched? It has been so many years to see this happen! 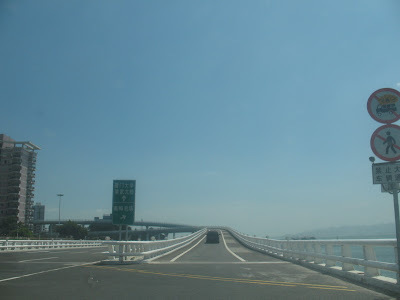 The Chenggong Road , the Great Success Road crossing north-to-south Xiamen Island , will be launched 25th Sep, 2009. The announcement was released from the official website www.xmnn.cn , and the approx driving time is 20 minutes From Millennium Harbourview Hotel Xiamen to the airport after its launch. Blessed is the Millennium Harbourview Hotel Xiamen! There will be no red and green traffic flash lights in between to stop you,total 14.3 kilometres express line, smooth driving ! Keep an eye on it and we will see, how the Gerat Success Road benefits us. 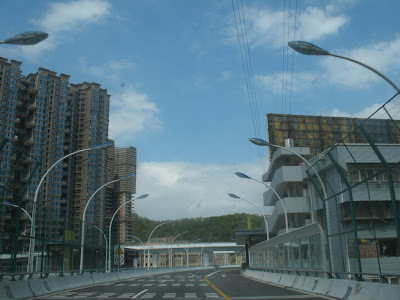 The water supply disruption on Xiamen Island, which was expected to last 4 days, has returned to normal by 10pm 21Sep,2009, one and a half days ahead of schedule, Mr. Pei Jinjia, deputy mayor of Xiamen said in a preliminary summary report on Monday. The temporary headquarters for the water supply disruption relief has expressed their thanks for the understanding and support of the public, on behalf of the Xiamen municipal government. Through intense work by more than 300 skilled workers on the water main, which started on the night of Sept. 18th, the first wave of raw water arrived at the Gaodian Water Works thought the water main at about 9:00pm on Sunday. After 8 hours of purifying, quality tap water began to enter the municipal pipe network. Therefore, starting from yesterday morning, the water supply has been gradually returning to normal. The tap water supply reached 415,000 tons on Sunday, compared to the normal tap water supply of 510,000 tons. 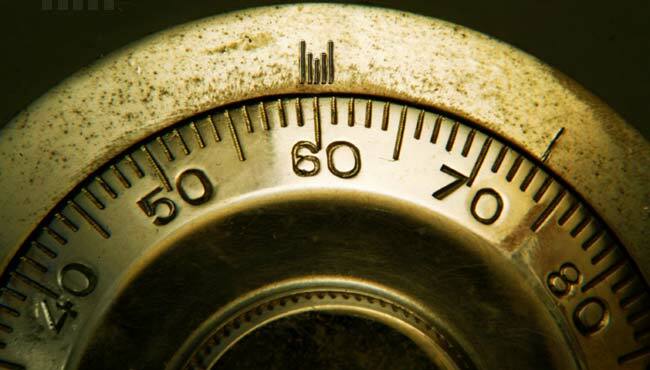 The water pressure in most areas of the island was normal. The water supply situation in hospitals, military units, schools were stable. If you are caring about us , thank you. 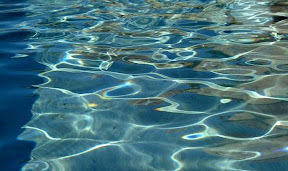 And I am here telling you that the water supply today ( the second day) is absolutely no problem , everything goes well. Hello from Xiamen! Just a quick note , the water supply is normal for Xiamen Hotels for the first day of four restriction supply days. "Leaving on a Jet Plane" is a song written by John Denver in 1967 and most famously recorded by Peter, Paul and Mary. The original title of the song was "Oh Babe I Hate To Go" but Denver's then producer, Milt Okun, convinced him to change the title. The song was initially recorded in 1967 by the Chad Mitchell Trio. 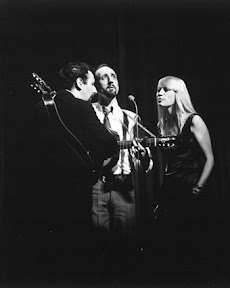 Peter, Paul and Mary's version first appeared on their 1967 Album 1700, however It did not become a hit until they released it as a single in 1969. It turned out to be their biggest (and final) hit, becoming their only #1 on the Billboard Hot 100 chart in the United States. The song also spent three weeks atop the easy listening chart. I quote the above just for Mary , her voice , her love and peace . Leaving us on her jet plane at age of 72 two days ago. Mary Travers, one-third of the 1960s folk trio Peter, Paul and Mary who helped popularize the work of Bob Dylan and sang hits such as "Puff (The Magic Dragon)," has died, aged 72, after battling leukemia. A statement on the group's website on Wednesday said Travers succumbed "to the side effects of one of the chemotherapy treatments" she was undergoing to fight cancer. Bandmate Peter Yarrow said that in her last months, Travers handled her declining health "in the bravest, most generous way imaginable." Throughout her long career, he said, Travers sang with honesty and complete authenticity. "I believe that, in the most profound of ways, Mary was incapable of lying, as a person, and as an artist," Yarrow said. "That took great courage, and Mary was always equal to the task." The New York Times quoted Travers' spokeswoman, Heather Lylis, as saying the folk singer died at a hospital in Danbury, Connecticut. Travers, known for her strong voice and long, blond hair, performed alongside guitarists Yarrow and Noel "Paul" Stookey in one of folk music's most popular acts. The group's version of "Blowin' in the Wind" by a young Bob Dylan helped transform the song into a civil rights anthem and introduced his music to a wider audience. The group also scored big hits with "If I Had a Hammer" and "Where Have All the Flowers Gone?," co-written by folk artist Pete Seeger. Along with "Puff," the group's other hits were "Lemon Tree," and "Leaving on a Jet Plane." The trio's members were also noted for their political activism. They performed at the 1963 civil rights March on Washington and at demonstrations protesting the Vietnam War. Travers kept up her activism after Peter, Paul and Mary broke up in the early 1970s. She performed as a solo artist before the trio reunited later for benefits and other concerts. Born in Louisville, Kentucky, Travers grew up in the Greenwich Village section of New York City. She was influenced at an early age by Woody Guthrie, the Weavers, Leadbelly and other major folk musicians. "I was raised on Josh White, the Weavers and Pete Seeger," Travers told The New York Times in 1994. "The music was everywhere. You'd go to a party at somebody's apartment and there would be 50 people there, singing well into the night." 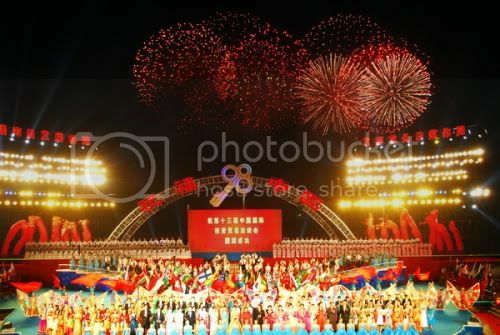 Today 18th Sep , 2009 ,is the first day on Xiamen history ! water supply control for four days ! Xiamen will experience a 96-hour water supply disruption from 11:00pm, Sept. 18th to 11:00pm Sept. 22nd due to a water main relocation. However, many citizens still wonder that why the water supply disruption will last for 4 days. According to Cai Siwei, vice president of the Xiamen Water Group, the first step of the whole project is to drain away water in the 40-kilometer-long water main, which will take 16 hours. After that, the welding and cutting works will last 10 hours. The pipeline also needs rust protection after that, and it must go through many test routines including ultrasonic testing, X-ray examination and pipeline pressure testing. It will take 48 hours from cutting off the water to connecting the pipeline. After the pipeline is connected, the water will need 24 hours to flow to the water plant. Because there is air in the pipeline, it may be broken when water pour into. And it also takes 24 hours to purify the water. The Water Group has invited first-class pipe construction teams from Shanghai and Tianjin to participate in the project, and the work will operate 24 hours a day with 115 welders. The 96-hour water supply disruption is due to the construction of the Fuzhou-Xiamen Railway. 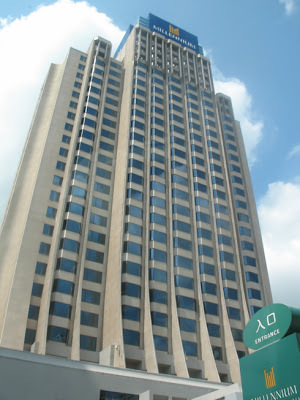 Have you ever been to Millennium Xiamen Hotel facebook Fans Club? In Xiamen ,The hottest topic from everyone , whoever you are , local citizens , Lao Wai (foreigner), demestic travellers ... is the water supply control in Xiamen from 11:00pm 18Sep till 11:00pm 22Sep. Xiamen will restrict its urban water supply in Siming District and Huli District, from 23:00pm, Sept. 18th to 23:00pm Sept. 22nd, as a result of the moving and reconnecting of some main water supply pipelines in the city, according to a circular issued by Xiamen Municipal government on Wednesday. 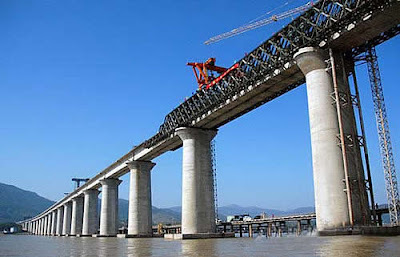 In order to ensure the smooth opening of Fuzhou-Xiamen Railway by the end of November, some water supply pipelines need to be moved and reconnected, the circular says. During the construction, some main water supply pipelines will be cut off for reconnection, which will lead to a large decline of water pressure. Xiamen will restrict water supply and it will cost 96 hours to restore it. Emergency measures will be taken to ensure the city’s normal operation. Water Group (the water control department) will give priority to domestic water, hospital, school and some important government agencies, and cut off water supply to factories, infrastructure projects and special industry (vehicle cleaning, sauna and swimming pool). During this period, water wagon trucks, fire trucks and fire hydrants will be used as temporary water supply points in the city. Ten secondary water supply equipments will work from 18:00pm to 21:00pm during Sept. 18th to 22nd. After the Xiamen Government announced a four-day water supply disruption which will start from 23:00pm, Sept. 18th to 23:00pm Sept. 22nd, many citizens have poured into the supermarkets to snap up bottled water to tide over the hard times. 4-liter bottled water is the most popular product in the supermarkets during these days. “We just put 100 bottles of water on shelves yesterday and they sold out in a morning.” a salesperson at Trust-Mart said. Besides the bottled water, large water containers are also in great demand. Water supply disruption also brings a good market to disposable goods, such as disposable dishware, underwear and gloves. Those goods are especially popular with young people. Some travel goods, such as a travel toothbrush, instant foods, frozen foods and fruits also are on many people's purchasing lists. Because the areas outside Xiamen Island won’t be influenced by the water supply disruption, many people are prefering to stay in hotels in these areas during 18th to 22th. Some hot spring hotels have even been booked up. Today , More than 30 Attrative Ladies gathered in Portofino Italian Restaurant , Millennium Harbourview Hotel Xiamen , to enjoy their monthly happy hour. They are actually from Xiamen AXE , the Association for Xiamen Expatriates , gathering, playing , laughing , sharing ,joking ... Not only they enjoy their lives by this way , but also they really offered themselves into the community of culture , charity and even UNICEF activities. They have all kinds of charactors , shining , firm , calm , silent ... I was so attracted by all these ladies , and captured the very moments of these magic ladies , in our Magic Haijing , Millennium Harbourview Hotel Xiamen . Season four , the Lucky Draw , three lucky draw winners were granted for Buffet dinners , free stays in Millennium Harbourview Hotel Xiamen . Luckily all these winners are new comer to AXE , just unbeliveable. Season three , magic women , these are what I see them in groups , crazy laughters , joking , happiness , they are just lovely! Today , More than 30 Attrative Ladies gathered in Portofino I talian Restaurant , Millennium Harbourview Hotel Xiamen , to enjoy their monthly happy hour. They are actually from Xiamen AXE , the Association for Xiamen Expatriates , gathering, playing , laughing , sharing ,joking ... Not only they enjoy their lives by this way , but also they really offered themselves into the community of culture , charity and even UNICEF activities. Alternatively I captured these pictures for another view , something more than serious conventions, something you can enjoy in the Fair . Amcham an active group for Xiamen CIFIT Trade Fair. For six years, the American Chamber of Commerce in South China (AmCham South China) has led an award-winning delegation of international business executives to the China International Fair for Investment and Trade (CIFIT) in Xiamen each September. In 2006, AmCham South China president Harley Seyedin accepted the “CIFIT Great Contribution Award” from former vice-premier Wu Yi on behalf of the chamber and its members, of whom 80 were delegates in Xiamen at the time. 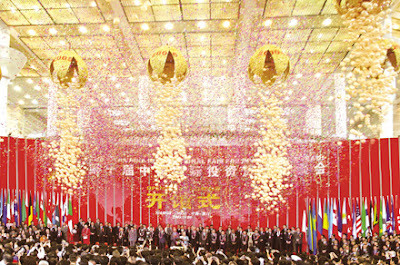 In 2007 more than 100 Am-Cham South China members traveled to Xiamen for the fair, and in 2008 China Daily devoted eight pages in its International Investment Express special edition to covering the 150-strong delegation. A short essay about CIFIT by Seyedin published in China Daily that year additionally won the “Special Award for Outstanding News Selection of the 12th CIFIT”. This year, the delegation promises to exceed prior years’ in both size and enthusiasm. In June 2009 AmCham South China organized an extremely successful investment mission to Fujian to explore new opportunities offered by the “West Taiwan Straits Economic Zone”, which delegation was considered by members as a precursor to the annual CIFIT trip. In addition to the now-standard meetings with provincial and municipal leaders from across China and the annual rooftop cocktail party at Xiamen’s SK International Plaza that has hosted ambassadors, top executives from Fortune 500 and top-ranking Chinese officials, AmCham South China’s 2009 CIFIT delegates will have access to the US Foreign Commercial Service’s “US-China Enterprises Investment Cooperation Forum” program, the US Pavilion on the show ?oor, and a meeting with the media to discuss the delegation’s composition, schedule and goals while in Xiamen. The more the Xiamen CIFIT Trade Fair goes , the hotter it beccomes. Xiamen CIFIT Trade Fair draws more and more attention from all over the world , I will collect more useful information here to catch such a highlight. Here is one of the news that shows Xiamen's importance growing. 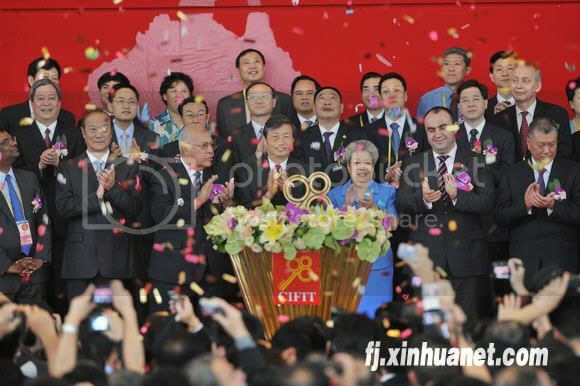 Sources from News Center of the 13th CIFIT Organizing Committee, right before the opening of the 13th CIFIT, another congratulatory letter came from UK Prime Minister Gordon Brown, expressing his wish for the success of the 13th CIFIT and further cooperation between UK and China. Mr. Brown stated that the CIFIT had fully demonstrated China’s leading role in international investment and trade. In view of the significance of international trade for the economic revival and the development of bilateral relation between UK and China, the British Government is looking forward to expand its trade with China. The two nations will strengthen their cooperation in financial service, high-tech products, architectural design and carbon emission reduction technology, etc. Mr. Brown mentioned about the policies made in May with the aim of promoting the development of the economic zone centering on Fujian Province. He believed that these polices with grand developing goal would certainly create great opportunities for the British enterprises. In the congratulatory letter, Mr. Brown also reviewed the UK-China relationship since his visit to Beijing Olympics last year. He pointed out that China had been playing a remarkable role in the global economic revival and reform. Serial Activities carried out between UK and China had proved rewarding and effective in promoting the relationship between the two nations. He said that UK was to double its export to China by the year 2010. The former Deputy Prime Minister John Prescott has led a delegation of British dignitaries to attend the 13th CIFIT and held the “Britain Energy Forum” on September 8. To follow the hottest topic , 13th CIFIT ,Xiamen Trade Fair ,is officially opened today ,9:08am 8th Sep,2009. The former Primier Minister Wu Yi was there , as last year . And Harley Seyedin , the President of American Chamber of South China also expressed his new vision on Xiamen and CIFIT. As China’s economy continues to enjoy stability and growth in a global economic climate that is not particularly stable or conducive to growth, the State Council’s recently released “Several opinions on supporting the development of the West Taiwan Straits Economic Zone” are, in my view, an invitation to investors not only from Taiwan but also from around the world to come in from the economic cold and enjoy the relative warmth of the mainland economy. Of course, this is not only attractive for companies just entering China, but also for those already operating on the mainland: the American Chamber of Commerce in South China recently led a delegation of 74 companies to Fujian, only 50 days after the State Council’s announcement, to investigate the zone’s opportunities. This delegation, which I led and which was joined by US Consul General Robert Goldberg, was among the first (if not the very first) to travel to Fujian to learn about the zone, and after only three days we signed deals worth 3.8 billion yuan — including an agreement to invest a substantial amount in green energy projects between my own company and the Fujian CCPIT. Not only does the West Straits Zone offer new opportunities in high-tech, high-value and environmentally sustainable industries, but it also represents a vital linkage between the Pearl River and Yangtze River deltas — two of the main engines of China’s phenomenal growth over the past 30 years. This will, I believe, lead to both further development of Fujian as well as closer integration of the entire eastern coast of China. I envision a future axis of metropolitan prosperity extending from Guangzhou, through Fuzhou and Xiamen, to Shanghai and beyond. Xiamen and CIFIT will continue to play a vital role, one that will be bolstered and emboldened by the West Straits Zone. Whereas in the past business-people attending CIFIT were able to meet top-level officials from nearly every province, region and municipality as well as potential partners for international trade and investment projects through-out China worth billions of yuan, in 2009 there will be an added at-traction; beginning this year, Xia-men is home not only to CIFIT but also to one of the newest and most exciting developments in China’s economic strategy. I expect our delegation to CIFIT, which has grown annually to reach more than 150 individuals last year, will continue to grow for a long time indeed. Last year I wrote that Xia-men was a bridge connecting the world to China. 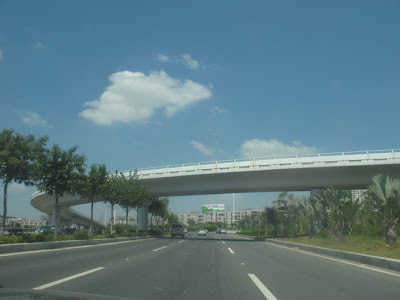 This year, I must revise that statement, although it remains true; this year, I must suggest that Xiamen and CIFIT are now a bridge connecting the world to China and a superhighway of opportunity. The author is the elected President of the American Chamber of Commerce in South China, Vice Chairman for China Affairs of the Asia Paci?c Council of American Chambers of Commerce and President for Sithe Global Pacific, a Blackstone Company. 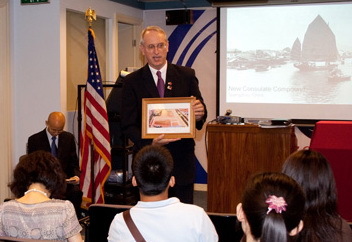 Brian Goldbeck , American Consulate General Guangzhou recently gave his words to anticipate the CIFIT 2009 , Xiamen Trade Fair . Tomorrow this event will happen to meet everyone's expectation to move forward to speed up the recovery of Economy Crisis of the world. These words are from Xiamen Government official website just before CIFIT's opening. Exciting to the Xiamen Hotels. As a history buff and eager to prepare for my new job, I read the journals of Major Samuel Shaw, the first American Consul in Guangzhou. Shaw arrived 222 years earlier, in 1787. But what struck me was that then, as now, trade brought Americans and Chinese together. Investment, first by the US in China and now vice versa, is a more recent development, but it too brings our nations together. And that is exactly what CIFIT does — bring people together to make deals happen. To no one’s surprise, Americans and Chinese are still on the hunt for investment and trade opportunities. So it is with great anticipation and a sense of history that I attend my first China International Fair for Investment and Trade (CIFIT) in Xiamen, and once again CIFIT promises great economic opportunities for all. Let me start by thanking the Council of American States in China for organizing the US Pavilion. I encourage everyone to stop by and meet exhibitors representing states and cities from the Atlantic to Pacific Oceans, including Virginia, North Carolina, Mississippi, Texas, Missouri, Idaho, San Diego and Tacoma, as well as the US Consulate’s Foreign Commercial Service and our friends from the American Chamber of Commerce in South China. I am confident that our states, with their superior products and services, will be attractive to those who want to buy from or invest in the US. I also invite you to join us in exchanging ideas at the Sino-US Enterprises Investment Cooperation Forum on September 9. At the forum, we will be discussing US policies to attract Chinese investment, investment opportunities in numerous US states, and opportunities to develop and cooperate on alternative energy technologies. Needless to say, opportunities for high technology, environmentally friendly investment in the US remain especially attractive. Both are priorities as China, and specifically south China, seeks to move up the technology ladder while preserving and protecting China’s environment. Well, I’m confident that after attending the constructive meetings we have planned, and seeing first-hand so many dynamic investment opportunities in both the US and China, we’ll be playing as one team in record-breaking time and recording some major trade and investment deals in the process, thus making a little history ourselves. The speech given by Huang heming, deputy director of the Operations Department of CIFIT Organizing Committee, deputy director-general of the General Office of the Xiamen Municipal Office, and the director of the Municipal Investment Promotion Center. First, on behalf of the CIFIT organizing committee, I’d like to express our sincere thanks to your support and publicity activities to the CIFIT promotion. In a few days, the 13th CIFIT would open officially. With the great effort and cooperation of the sponsor, co-sponsors and member units, the CIFIT preparatory work has been finished and now, I would like to introduce the new features, the grand activity arrangement and the latest development in preparation of the CIFIT. This year’s CIFIT coincides with the 60th anniversary of the founding of the New China, and it is also a critical year for the whole world to cope with the international financial crisis. At the same time, the peaceful relationship between the two sides of Taiwan straits is also in good shape, and Haixi development is elevated to a national strategic level. Faced with these new opportunities and challenges, the organizing committee strengthens our preparatory work to update the actual effect of this year’s CIFIT. (I) The CIFIT, as a brand, is increasingly known to the world and it attracts more and more exhibitors and participants. Faced with the negative factors caused by the world financial crisis, the organizing committee devotes more efforts in inviting exhibitors and has achieved good effects. The exhibitors both from home and abroad show great enthusiasm and the participants are of a high level, which also shows that the CIFIT, a platform for international investment and an international brand, is a real attraction. This year’s CIFIT attracts great attention from institutions, economic organizations, chambers of commerce and enterprises both from home and broad. Up to now, 504 participants from 83 countries and regions have registered to participate. They include United Nations Industrial Development Organization—UNIDO, United Nations Conference on Trade and Development—UNCTAD, World Association of Investment Promotion Agencies—WAIPA, various states from USA, Ministry of economy from Holland, European Commission of Investment, The economic and trade mission of Department 57 of France, Federation of Filipino-Chinese Chambers of Commerce & Industry, INC, Germany Trade and Invest, Polish Chamber of Commerce, Argentina Chinese Federation of Industry and Commerce, Chinese Business Chamber o f Canada, Japan China Investment Promotion Organization, Thai Young Chinese Chamber Of Commerce, and Singapore Chinese Chamber of Commerce & Industry. Those who have registered to come to the fair include over 300 high-rank government officials, leaders of international organizations and of chambers of commerce, and presidents or vice presidents of transnational companies. It is estimated that there will be over 550 delegations of overseas participants. Within China, high-rank leaders and officials who will participate are from 38 national departments and ministries and 40 domestic member units including National People’s congress, National Committee of the Chinese People's Political Consultative Conference, Ministry of Commerce, National Develop and Reform Commission and so on. It is estimated that about 100 leaders at the ministerial level will attend the fair. (II) With more professional exhibitions, the scale of the CIFIT this year is largest. The scale of this year’s CIFIT is larger than any of its previous 12 years. The exhibition floor covers an area of 60,000 square meters with 2800 exhibition booths, an increase of 8000 square meters. There are also some new exhibition areas such as Real Estate Investment and Transaction Area, Cultural and Creative Industry Area, Agriculture Investment Exhibition Area and Taiwan Investment Exhibition Area. The exhibition areas of development zones and commodities from Taiwan are expanded and the exhibition of some key fields are strengthened, such as real estate investment, cultural creation, tourism, energy saving and environment protection and agriculture. At the same time, some professional activities are organized, such as “The first China International Real Estate Investment Fair”, the exhibition hall of “China International Cultural and Creative Industries”, “the Fifth Straits Tourism exposition” and “Panxin Arts Festival”. The CIFIT also sets an exhibition area for Xiamen exhibition to publicize Xiamen exhibition industry. From the result of exhibitor invitation, we see that in order to cope with the international financial crisis, the countries all over the world highlight transnational investment and cooperation. The CIFIT attracts great attention from various foreign institutions, international economic organizations, chambers of commerce, and enterprises. They show great enthusiasm to participate. There are 58 overseas governmental delegations, with the total exhibition area of 15,000 square meters. Many countries and regions have exhibition areas larger than any other year’s, with 128 exhibition booths from Taiwan, 80 from Brazil, 56 from South Africa, 50 from Hong Kong, 33 from Thailand, 22 from France, 22 from Italy and 20 from Holland. (III) Social groups and organizations show great enthusiasm for the participation. The forums and symposiums are featured as concrete and high-level. The CIFIT is an authoritative global platform to publicize investment policies, discuss theoretical issues and release latest information. The “International Investment Forum” held every year and dozens of symposiums on hot investment issues have become a focus of the world. It has been confirmed that 67 forums and symposiums of various kinds will be held during the CIFIT. The theme of this year’s International Investment Forum held by the Ministry of Commerce is “promote transnational investment, boost economic recovery”. By then, officials from the State Council, the CPPCC, the Ministry of Commerce as well as the Vice Prime Minister from Mauritius, Trade Commissioner of the European Commission, Dutch minister of Economic Affairs, Vice Chairman of the Council for the Development of Cambodia will come to the forum and give speeches. What’s more, the Ministry of Commerce will hold 24 symposiums on the hot issues of international investment: “come in” and “go out”. The theme includes service outsourcing, urban and rural coordination, governmental purchase, trade facilitation, green industry, financing lease and risk management. Over 40 countries and regions will hold investment promotion conferences, such as USA, Canada, Germany, Poland, Iran, Cuba, Mexico, South Africa, and so on. Dozens of provinces, municipalities and autonomous regions in China will also hold investment environment seminars or investment project promotion conferences. It is worth mentioning that increasingly the CIFIT plays a much more important role in releasing information and institutions both from home and abroad take this opportunity to hold relevant activities. During this CIFIT, some professional forums will be held by institutions both from home and abroad, such as U.S. Etech Securities Group, ASF Group, European Commission of Investment, the British journal agency The Banker, the Magazine the First Finance, China Foundation for the Development of Folklore Culture, Chinese Association of Agricultural Science Societies, the Chinese Academy of Agricultural Science, and Chinese County Economic Development Center. At present, all the organizing work involved in the forums and symposiums has been finished and the reception and supporting work has been carried out. (IV) This CIFIT highlights investment in specific fields and regional integration, attracting great attention from investors both from home and abroad. The CIFIT matchmaking symposiums will further highlight investment in specific fields and regional integration, which last for five days (sep. 7—11). Apart from some regular matchmaking symposiums such as comprehensive ones, the ones for listed companies, service outsourcing, investment funds, high level ones between governments and enterprises, Taiwan-Funded enterprises, patent technology, and modern agriculture, this CIFIT will also hold some new matchmaking symposiums, such as the ones for enterprises’ financing road show projects, for energy-saving and overseas scholars investment projects, for the real estate projects, for cultural and creative industry projects and for enterprises’ mergence, with altogether 14 matchmaking symposiums. The matchmaking symposium of brand franchising will be extended from one day to two days. Meanwhile, the organizing committee has made more efforts to promote “going out”, inviting and organizing competitive Chinese enterprises to participate and encouraging overseas institutions with investment projects to attend the fair. This year, the member units of the CIFIT have filed over 11,000 investment projects, with the total investment projects in record exceeding 50,000, among which, over 4,000 projects are from foreign land. At present, there are about 1,000 investors who have registered to attend the CIFIT and the organizing committee is working on project matchmaking. (V) This year’s CIFIT also has taken some innovative measures to provide service and support, which ensures the fair a big success. As the host and faced with the new situation, CPC Xiamen Committee and the municipal government focus great attention on the supporting and service work, devote more financial resources, take innovative measures, and improve comprehensive support and service system, providing high-quality, efficient and convenient support and service and ensuring this year’s CIFIT a safe, smooth and successful one. At present, the organizing committee has started the work of creating favorable atmosphere in a brand new way. The organizing committee is confident in hosting a safe, successful and fruitful CIFIT, ensuring a satisfactory effect for exhibitors, participants, the sponsor and co-sponsors, member units and the friends from the press as well. One. Exhibitions: (1) Continue to hold “the Fifth Straits Tourism exposition”; (2) to set new exhibition areas, i.e. Taiwan Municipal and County Districts Investment Exhibition area and Taiwan District Elaborate Exhibition Area; to expand Taiwan Commodity Exhibition area. Meanwhile, a series of activities will be held on Taiwan Exhibition Day by TaipeiWorldTradeCenter, with the opening of Taiwan Exhibition Day set on 9:25-9:40, Sep. 8. This is the first time at CIFIT that Taiwan Exhibition Day has been held and it is of special meaning. Two. forums and symposiums: (1)The forum “Expo & Haixi Urban Develop and Cooperation” will be co-held on Sep. 7 for the whole day by Fujian provincial government and Shanghai Expo Operation Commission. The forum is held at the International Conference Hall, 4th floor, Xiamen Conference and ExhibitionCenter, with the participants of 300 to 400. (2) The 4th Cross-Strait Economic Cooperation and Development Forum held by the Ministry of Commerce and the Taiwan Affairs Office of the State Council, with the theme of “the system of cross-strait economic cooperation and development”. (3) The forum on “Cross-strait Regional Economic Development “and Youth Entrepreneurship Summit, held by County Economic Development Center of China and China International Youth Exchange Center. (4) “Cross-strait Banking Summit” held by the British Journal The Banker; (5) “Haixi Finance Forum” held by School of Management, Xiamen University. Three: Matchmaking symposiums: for the first time the Matchmaking Symposium on Investment Projects of Taiwan-funded Agricultural Enterprises will be held on the afternoon of Sep. 8 at Hall C, first floor underground, Xiamen Conference and ExhibitionCenter. Four: Other supporting activities: (1) “the second Cross-strait (Quanzhou) Agricultural Products Purchase and Trade Fair will be held. 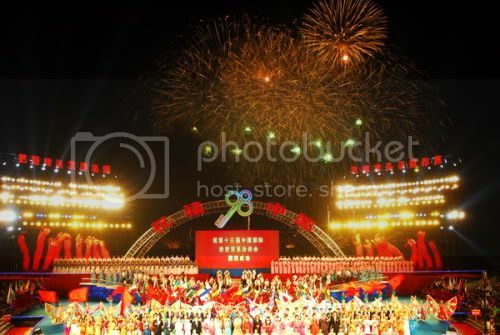 (2) “2009 Cross-strait folk gathering” held by Siming District, Xiamen. (3) special show “Minnan Legacy” will be held three times to promote Fujian and Xiamen’s geographical advantage, features, and local culture of Minnan region. The show will be held on the evening of Sep. 6, 7 and 9 at Trial Theatre at Xiamen Cultural and ArtsCenter, of which, the one on Sep. 6 exclusively is for the Tourism Exposition and the ones on Sep. 7 and 9 are exclusively for the CIFIT. One: the Ministry of Commerce will hold several multilateral and bilateral activities. (1) the 16th joint meeting between Chinese and Japanese investment promotion organizations; (2) the 5th negotiation of Free Trade Zone between China and Norway; (3) the second meeting of economic and trade energy-saving working team between China and Sweden; (4) the 22nd session of the economic and trade joint committee between China and Cuba. Over 600 real estate companies and over 1,500 professionals that will participate, including China’s Real Estate Association, DTZ, Savills, World Union Real Estate, Reed Group (Hong Kong), and other famous real estate institutions. The land reserve organizations in dozens of cities of China will also participate. Xiamen, Suzhou, Langfang, Hefei and other cities will hold land investment promotion meetings. Meanwhile, the forum “First Finance China Economic Forum—2009 China International Real Estate Investment Summit”, together with other supporting activities such as “Real Estate Projects Matchmaking Symposium”, “Welcome Reception”, “lunch Exchange Reception” will be held. Three: 2009 China International Cultural and Creative Industry Exhibition Hall. The whole set of activities will be held together by the Operating Department of the Organizing Committee and Panxi (Beijing) investment consultative Com, Ltd., which serve as a platform for presenting cultural industry projects, releasing information, promoting investment, exchanging and consulting. The Cultural and Creative Industry Exhibition Hall is located in the Exhibition Hall 2 H, Xiamen Convention and ExhibitionCenter, with the floor area of 1,500 square meters. The supporting forum “China International Cultural and Creative Industry Development Forum” will be held and Li wuwei, Vice Chairman of CPPCC and some well-known experts and scholars will give speeches on the forum. “panxi Arts Festival” will be held at the third floor of Xiamen Convention and ExhibitionCenter and about 100 modern paintings will be exhibited and auctioned. Four: Invest China— enterprises’ financing road show projects and capital matchmaking symposium. The activity is held together by ChinaInternationalInvestmentPromotionCenter and Tianjin (Binhai) International Equity Exchange. About 800 representatives of small and medium-sized enterprises all over the country and leaders of investing and financing institutions will attend the symposium. A series of project promotions and road show projects and matchmaking talks will also be held. Five: activities on Holland Exhibition Day. This year the exhibition delegation from Holland is much larger, with the total number of delegates reaching 200, 100 of whom are in government and business participating group and 100 of whom are in the Hague Philharmonic Orchestra. There will be Holland Exhibition Day activities, which include the opening ceremony of the Exhibition Day, 3 symposiums and special performance given by Hague Philharmonic Orchestra. The music performance will be held after the Welcome Reception on 20：30-21：30, Sep. 7 at the Concert Hall of Xiamen Convention and ExhibitionCenter, which can hold 750 audience. There will be a trial performance on the evening of Sep. 6 and Xiamen citizens who love music are welcomed to attend the performance. Seven: Hong Kong District Exhibition Day activities, which include exhibition area presentation, joint photo-taking of Macao entrepreneur delegation, and the reception Banquet of Macao entrepreneur delegation. 1. The news conference of the 13th CIFIT. In order to release the latest information, the Organizing Committee of the CIFIT will hold a news conference on 10:00-11:00 am, Sep. 6. at the International Conference Room, Hall 1, Xiamen Convention and ExhibitionCenter. All the friends from the press are welcome to participate. 2. Welcome Receptions. Altogether 4 welcome receptions will be held on Sep.7. The main one is from 19:00-20:15 P.M. in the Dining Hall of Xiamen Convention and Exhibition Center, another one is from 18:30-19:30 P.M. in Seaview Hall, the second floor of Xiamen Seaview Resort Hotel, still another one is from 18:30-19:30 P.M. in the Multiple Hall, Xinyue Building, Xiamen Mandarin Hotel, and a last one is from 17:00-20:00 P.M. in YunDing Community Club. 3. The Opening Ceremony of the CIFIT. It is from 9:00-9：30 A.M. Sep. 8, at Hall 1, Xiamen Convention and ExhibitionCenter. 4. 2009 International Investment Forum. It is from 10:00-11:15 A.M. Sep. 8, at the fifth floor, Hall 1, Xiamen Convention and ExhibitionCenter. 5. 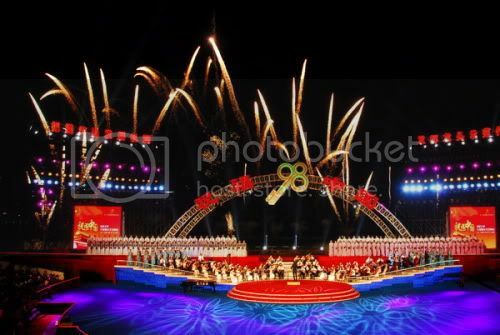 “Good wish to China”—a large firework evening entertainment performance, which will be held from 20:00-21:20 P.M. Sep. 8 at the west part of BailuzhouPark. 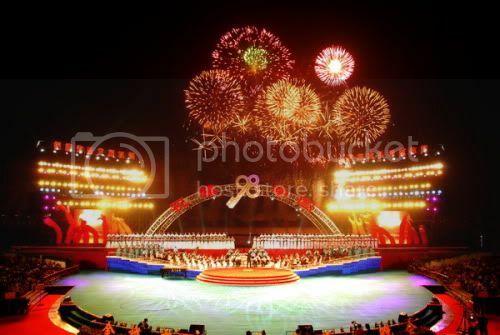 It includes firework display and recreational performance and will enhance the cultural attraction of the CIFIT. From a regional economic and trade activity, CIFIT has developed into a grand international investment promotion fair, attracting great attention from all over the world, which is not possible without the report and publicity by the news circles. Take this opportunity, again, I would like to express our gratitude to you all and wish all the friends from the press will all the way support and publicize CIFIT. I believe, with the great effort of the Ministry of Commerce, Fujian Province, Xiamen Municipality and the Organizing Committee of CIFIT, with the great support of participants both from home and abroad as well as the friends from the press, the 13th CIFIT will be held with new features, to a higher level and of new achievements, attracting wider attention and engendering greater influence. Sanderling, Michael Hall, Lu Jia and Howard Griffiths, among many others. China. Camerata Salzburg, Gidon Kremer, Nicolaj Znaider. Hall, Boston Symphony Hall, Sydney Opera House. Put aside yesterday's performance ,try another piece of hers , that was in 1996, when at the age of 16, she was seen live on BBC Television, competing in the Final of the prestigious Leeds International Piano Competition, with Sir Simon Rattle conducting the City of Birmingham Symphony. The British public was captivated. If you search Xiamen on Google , what can you find ? The top website you find is travelchinaguide , it is really amazing . In my natural feeling it should be wikipedia.org , but ... They did a pretty good job in SEO I believe. 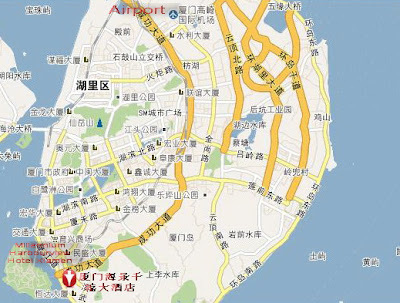 Then you click Xiamen hotels , you will find our Millennium Xiamen Hotel at the few recommedation list , thumb up! Next , The Xiamen Government website , definitely should be in top three . Today some updates on CIFIT the Xiamen Trade Fair are shown up. 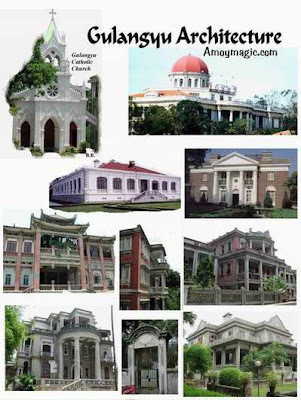 Then this upcoming website you will never forget , it is close connected with Dr. Bill Brown , the author of Amoy Magic , and one of the Xiamen's basic Portals ， the Xiamen Guide. For Dr. Bill Brown , we will have more to talk about him later. What's On Xiamen gives the hottest news in Xiamen daily life , Their editors are so active , you can see them every day in Xiamen's interesting places . 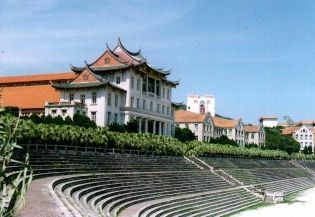 Xiamen University is the only key National University of China in Xiamen , it is also famous for its founder , Mr. Chen Jia Geng( Tan Kah Kee) , a pioneering entrepreneur, a prominent community and political leader in both Singapore and China and a unique promoter of education in modern Chinese history.In recognition of his contributions, he was given a state funeral by the Chinese government upon his death on 12 August 1961. Yahoo travel has been always attractive , I may have put in my pervious post that Millennium Xiamen hotels' rank has been at the top one of Yahoo travel Xiamen hotels' list few days ago. The compitition goes on. 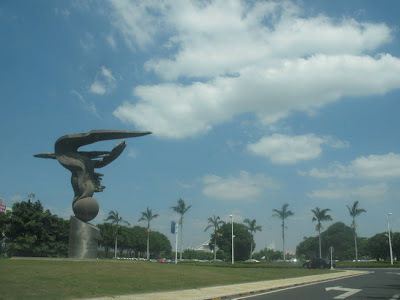 The next are Xiamen Airport, Xiamen sheraton hotel and Xiamen Vista Xiamen tour introduction site. Now we come to one of our most important parts , Dr. Bill Brown's amoymagic site . 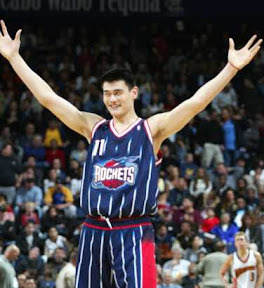 This wise and humourous man offered great contribution to Xiamen , even to China. Not only the book and website Amoy Magic brings lots of foreigner's attention to Xiamen , he also represented Xiamen in the intl ernational Livcom competition. Xiamen won the Gold Medal. [Livcom is the "Oscar for liveable communities" ]. 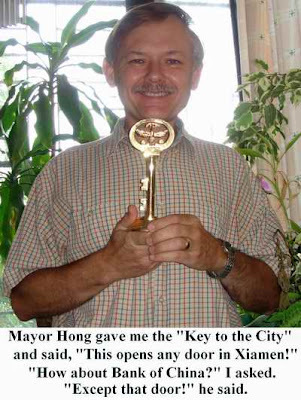 In 1992 he became Fujian Province's 1st foreigner granted Permanent Residence, and in 1993 received the Friendship Award from Premier Li Peng. When asked his impressions of the ancient city of Beijing, he replied, "I loved the Beijing fried duck." If you have hobby of running , why not take the Xiamen Marathon , ooooooooop , this site can not be open , not my fault . But how come it can be on the top list of Xiamen search? one hundren years ago in Gulangyu Island, the American Consulate was a paradise for those American officials , such a beautiful place to stay. Now the American in Xiamen site expersses the natural and unforgattable love from Americans . Xiamen wave is something that fits the spirit of Xiamen , relax, natural, freedom , easygoing ... Xiamen is designed for everyone , Xiamen wave is designing part of it , art , life , love. Xiamen Stone Fair , one of the most biggest stone fairs in the world , for me is the annual hot days that attracts the most successful businessman in stone business. 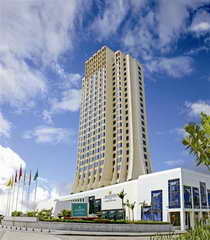 Let us come to the Millennium Harbourview Hotel Xiamen 's official site for an end . 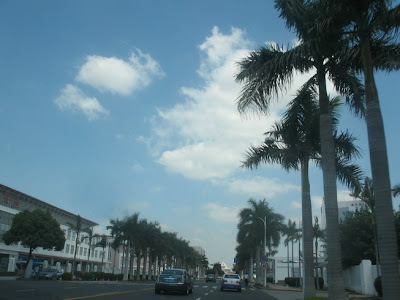 Xiamen changes everyday , and if you want to know Xiamen , my search post gives you the most update idea. Cheers!